Scientists have now proven beyond doubt that the contents of our thoughts and feelings have a direct and immediate influence upon our physical being. They have the power to alter our metabolism, how we think, feel and behave. With a shift in attitude you can begin a total transformation that will help you lose all the weight you want and keep it lost - without crazy diets or taking dangerous pills. The key to this transformation lies within your mind. 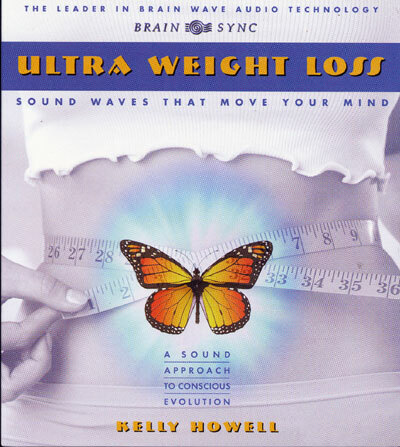 Simply put on your headphones, close your eyes and let Theta waves guide you into a hyper-suggestible hypnotic state where the messages you'll hear are absorbed by the subconscious for maximum impact and lasting weight loss. In deep states of relaxation, you are guided to release memories and emotional patterns that have sabotaged your best intentions. Deep-seated behaviors are powerfully changed so that your appetite and self-esteem work in harmony to help eliminate food cravings, and to attain your ideal weight. As negative beliefs dissolve, extra pounds fall away. You'll feel vibrantly alive and full of energy. The results are profound. You are guided into theta, where new attitudes and beliefs about your body are absorbed for deep and lasting impact. Affirmations and visualizations accelerate the transformation of self-image. Studies show that Theta is an essential key to learning new behaviors and "un-learning" ones that no longer serve you. Subliminal brainwave technology opens the subconscious to receive and act on healthy ideas about your self and your body. No willpower is needed to lose weight when the subconscious mind has accepted an idea as true. To help you achieve your weight loss goals, we're offering our two best-selling weight loss CDs at one low price.